Best Irish Baby Names: 12 Examples to Help You Choose an Irish Name! Best Irish Baby Names: A Personal and Unique Way to Express Your Irish Side! If you are a new parent looking for the best Irish baby names (boy or girl) we have good news! Names originating in Ireland are popular worldwide. Sineads and Ronans are as likely to be found on the streets of Boston as they are on the streets of Dublin. So what's in a name? It's the ultimate expression of your baby's heritage, a wonderful opportunity to express your cherished Irish culture every day. Let's start with some of our favorite Irish baby names, then offer some ideas on how to use them to express your (baby's) Irish side. Meanwhile, please enjoy our selection of Best Irish Baby Names! 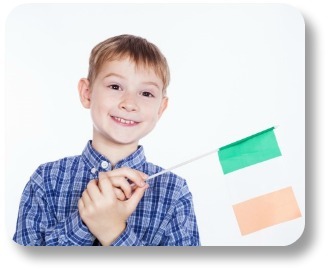 Irish boys were often given names found in myths and stories of Celtic heroes. Brian, meaning ‘noble and strong,’ is one of the most popular names in Ireland. This name hearkens back to Brian Boru, the warrior who finally defeated the Vikings and pushed them out of Ireland after 200 years of attacks and invasions. Many other key figures such as the former Irish Prime Minister Brian Cowen also share this name. Ronan, meaning ‘little seal’ is another extremely popular and important boy's name in Ireland. One of the most well-known people with this name is of course Ronan Keating, the former singer with the famous Irish boy band Boyzone. 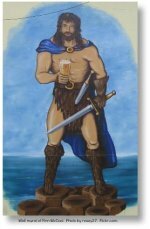 Kian is the version of the Irish name Cian, which was the name of another of Ireland's legendary heroes. As is often the case the name has been anglicised to a degree now beginning with K rather than a C.
Patrick can be traced to perhaps the most famous person in Irish history - St Patrick. Every March 17th people across the world take to the streets to celebrate St Patrick’s Day. Padraig (Paw Drig) and Padraic (Pore Ick) are both Irish versions of the name Patrick. Seamus (Shay Mus) is an Irish version of the name James. Liam (pronounced LEE uhm) means ‘desire and protect.’ One of the more familiar people sharng this name is Liam Neeson, the famous actor from Ulster. 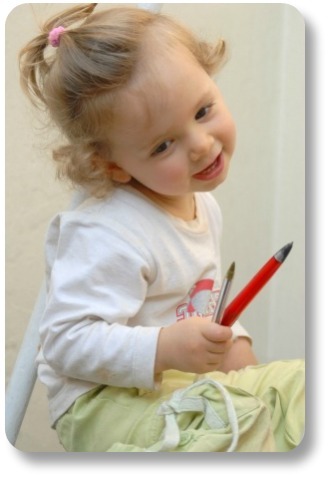 Irish names are also very common and identifiable for girls. As with many Irish names, Irish girl names have been anglicized and many English girl names have common Irish versions. Mary remains an extremely common Irish girl's name. Two recent Irish Presidents have both had the first name Mary: Mary Robinson and Mary McAleese. The Irish version of Mary is actually Maire. And Maureen is ... you guessed it ... another version of Mary. Sinead, pronounced Shin - Ade, means God is Gracious and is an Irish form of the English name Jane. Familiar individuals with this name include the Irish actress Sinead Cusack and the Irish singer Sinead O’Connor. Dervla is an anglicised version of Dearbhail, pronounced Dar-vil. Dearbhail has been in recorded usage since the 7th Century and means "daughter of Fal." Fal was the traditional name given to Ireland; therefore Dervla is a derivation of the name meaning "daughter of Ireland." Brighid (pronounced Breed) is a very traditional female name meaning High Goddess. Colleen (pronounced Coll Een)is based upon the Irish word for girl, cailin. It is a very popular Irish name for girls in America and also parts of England that received Irish immigrants following the potato famine. Siobhan (Shi Vawn) is an Irish version of the English name Joan. Are you an expecting parent looking for Irish baby boy names for your child? A pet owner in search of that perfect Irish name for your new family member? Or simply curious to know the meanings of common Irish names for boys? In any of these cases, you have come to the right place! In this section we will share with you many several popular baby boy names with Irish connections. 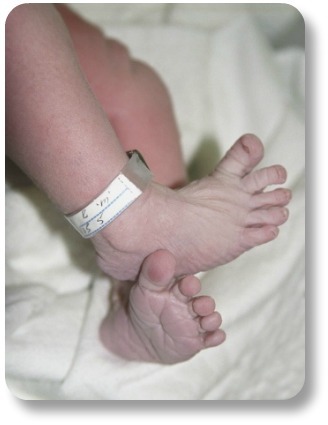 Click here to visit Irish Baby Boy names! If you are an expecting parent searching for Irish baby girl names, or simply curious about the meaning of a particular name - welcome! We would love to share some of our favorites, and offer you connections to many, many more. Irish baby names are so popular today because of their beautiful sound, and often their unique history and meanings. They also provide the parents with an opportunity to express their Irish sides! Here are some lovely Irish names you can use for ideas, as well as a little history and information on each name. Click here to visit Irish Baby Girl names! 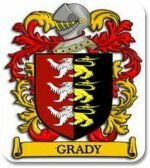 Our favorite of all Irish last names - the name 'Grady' - derives from the ancient Irish name Ó Grádaigh, meaning 'son of Gradaigh. The word Gradaigh itself means 'noble' in the Gaelic language. Want to learn more about Irish last names in general, perhaps yours in particular? Visit us here! 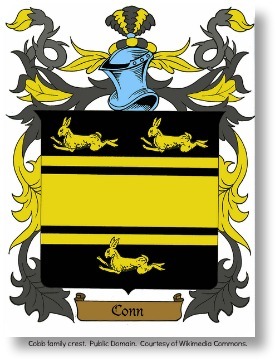 In fact, I have a poster on my wall that shows my Irish family crest, along with the background and history of my last name (Grady). It also shows famous people over the years who have shared my name. If you would like to do a free search of your family name, check out our dedicated page at House of Names. Looking to show your Irish side with your beloved family pet? 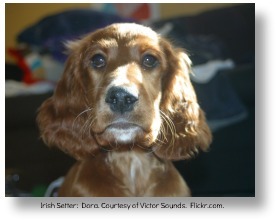 Irish pet names are a creative and endearing way to do just that! Click here to see our list of top Irish names for the family pet! Parents expecting children often look to Celtic name meanings as a way to express their Irish side. The Celtic languages are spoken in a number of countries and can sound quite different from one region to the next. And the same is true for the meanings of names with a Celtic heritage, especially when translated into another language. The important question is; which version of the name is most beautiful, best represents your Irish side, and is the best expression of your child's personality? Gaelic languages, and Gaelic name meanings, are a part of the Celtic languages of Cornwall, Scotland, the Isle of Man, Wales, Ireland, Patagonia and the Cape Brenton Islands. There are two distinct types of Gaelic languages. One is in Scotland and has various forms similar to regional accents in the United States. The other language is the most beautiful of them all, the Irish Gaelic language. There are also various type of accents based on the locale. For more information of the Gaelic meanings behind many of today's Irish names, visit our Gaelic Name Meanings section here! Until then - thanks for visiting Best Irish Baby Names! Please continue exploring your Irish side at Irish-Expressions.com.